Where to study New Zealand What Can You Expect? My friends describe me in a multitude of ways. Some are nice adjectives, and some are not-so-nice adjectives (I do hope they are joking regarding the latter). But one of the things that really stood out for me was when a friend described me as someone “who is on Redbull and constantly on the go”. While I would like to point out that I don’t drink caffeinated drinks, this descriptive phrase is more or less true. 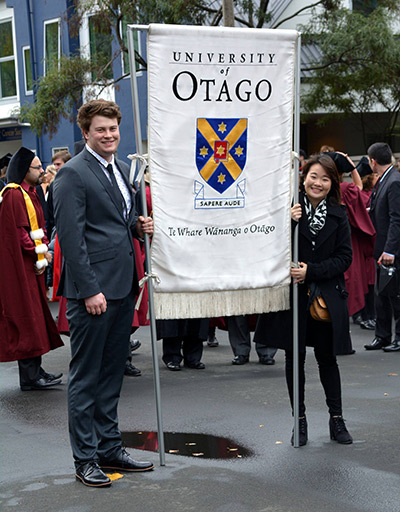 For the past five years, I have not really stopped butting my head into most International matters at Otago haha. 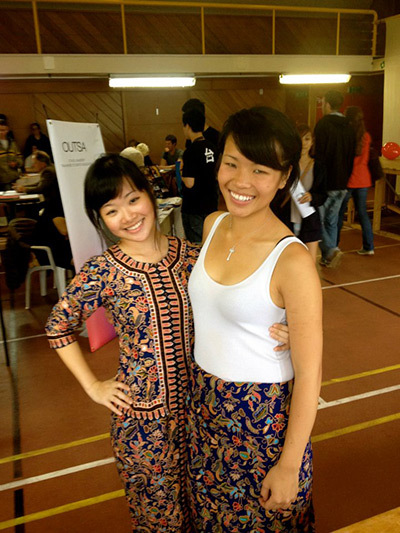 It has been all systems go from the moment I was roped into Otago Singapore Club (OSC) in 2011 by my best friend Caroline till this year as the OUSA International Officer. 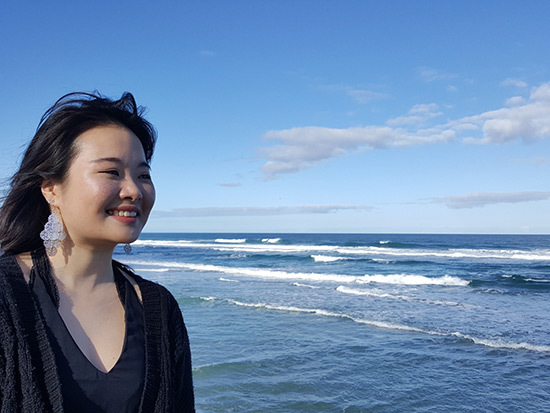 I have learned more about myself here than anywhere else – be it through self-development training at OUSA, caring for others, learning how to speak up about important matters, learning from criticism or working with people from different backgrounds etc. 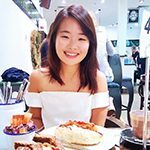 It has also been interesting to see the inner workings of International events, sitting on board meetings, and making friends with people from different International clubs. It has been a crazy and challenging journey, to say the least; a typical day is me running back and forth from one end of the campus to the other trying to sort out studies, OUSA, teaching, and a bunch of stuff. BUT while I may whine about this chosen life at times, the truth is, I have had heaps of fun at Otago because it has given so much joy and so many important life-skills. And perhaps Otago will do the same for you as it did for me! Every experience is different, but it is still your choice to go out there and experience it. There are so many cool things happening at Otago, but today I will focus on key exciting International events that you could be a part of if you so wish. IFF is arguably the most important event in our International calendar and it could not have happened without the creative mind of Jerome (OUSA Events Coordinator) and our amazing International Clubs. 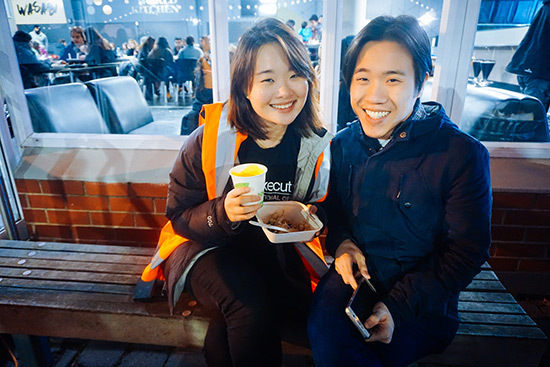 We have reasonably priced food from up to 15 different cultures, outdoor music, and it is located right smack on campus twice a year… what more could you want? IFF is normally planned months before to ensure we get the proper permits, equipment, and food ingredients. The clubs then spend quite a number of days and nights to make sure that everything is safely prepared and cooked to perfection. It is a lot of hard work, but the effort is so worth it! IFF is definitely an event to save for and attend if you want to try something different and delicious. IWN happens at the start of the first semester and the activities planned can differ depending on the wishes of the International Officer and the International Committee (ICOM). This year we got the committees of the International Clubs together for a night full of bingo, quizzes, family feud, and a chance to win really attractive prizes from our sponsors like Chopsticks 101, Lush, Reading Cinemas, KL Aroma etc. 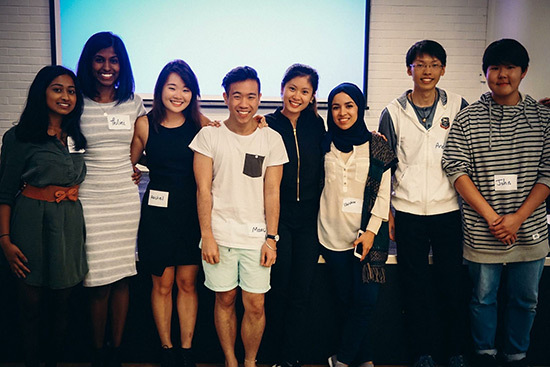 It was a lot of fun bringing people from other clubs together and having a dose of healthy intellectual competition. For all you sports aficionados, this is the event for you! For a weekend in April, ICOM throws a sports tournament for all the different International Clubs and their students. 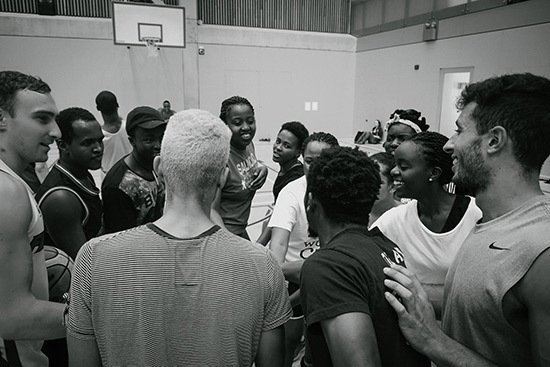 This year we had 15 International Clubs competing for glory in sports like Soccer, Basketball, Dodgeball, and Tug-of-War at Unipol and Logan Park. 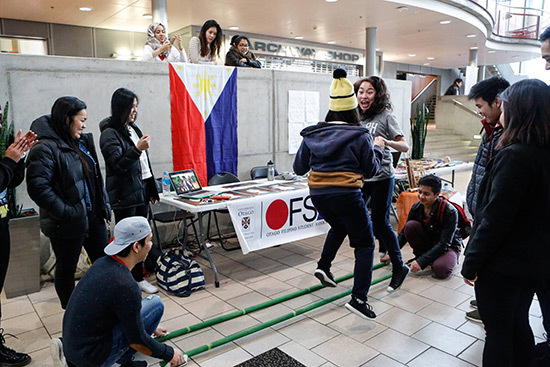 While things may get a little too serious at times, we did have crazy fun moments like ordering tons of pizza, seeing the joy of people when they score a goal, and when the Otago Filipino Students Association band together to cheer enthusiastically for their team. At the end of the day, you leave tired but really happy. ICC is something new that ICOM came up with this year. We used to have International Cultural Night in previous years but ICOM felt like we needed something different and exciting to showcase the many talents our International Clubs had. We also wanted something more family-friendly to bring more people onto our campus. 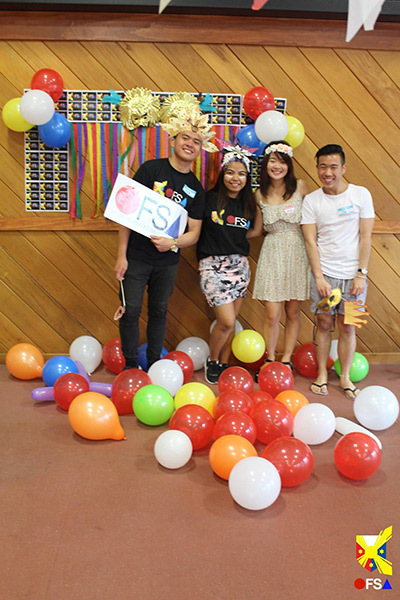 This event was a risk; it took almost a year of planning, convincing university staff that it was a good idea, getting 12 International Clubs, Te Roopu Maori (TRM), and AIESEC on board with this idea, sourcing stuff like a Bungee Run and Candy Floss Machine (thank you Jumpin Jacks Entertainment! ), getting my team of mostly tiny girls to lift heavy furniture, and tons of advertising. 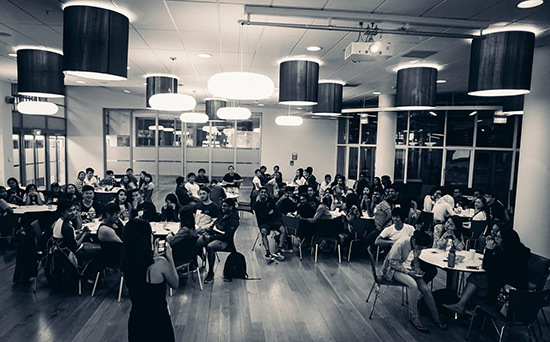 ICOM could not have done it without the support of the International Office, Dunedin Multi-Ethnic Council, 12 International Clubs and AIESEC, and the OUSA Executive, Events, and Design team. The hard work was worth it though and the clubs really delivered. We had exciting cultural performances, and delicious snacks to try… Masala Popcorn from the Indian Students Association anyone? 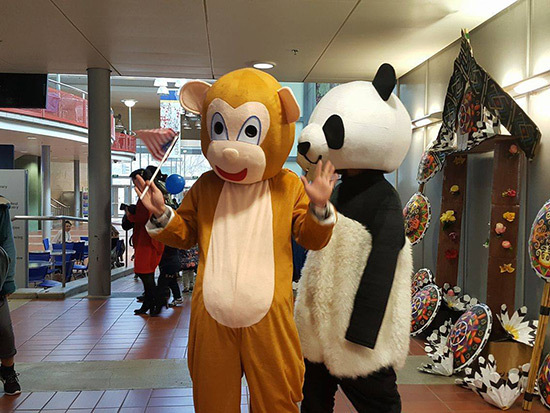 We also had a range of activities you could attempt to do, like Muay Thai from the Thai Society, hair braiding from the African Students Association, stencils from TRM, henna from the Muslim University Students Association, taking pictures with the cute mascots from the Malaysian group and so much more. Furthermore, all profits went towards the Red Cross Syrian Refugee Project in Dunedin. This event will probably happen next year, and it is only going to get better from now on! P.s. 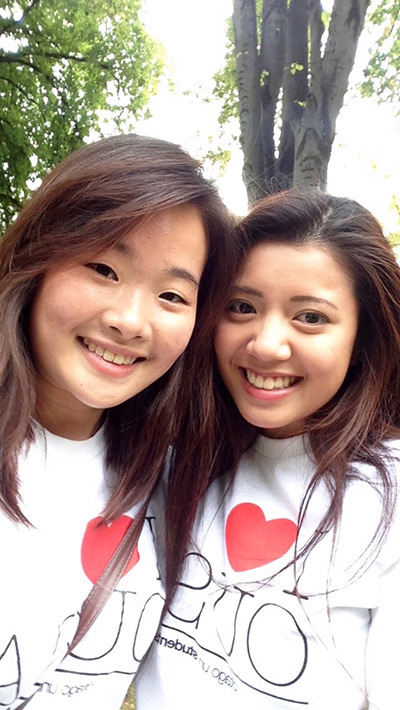 Don’t fret if you enjoy watching cultural performances! 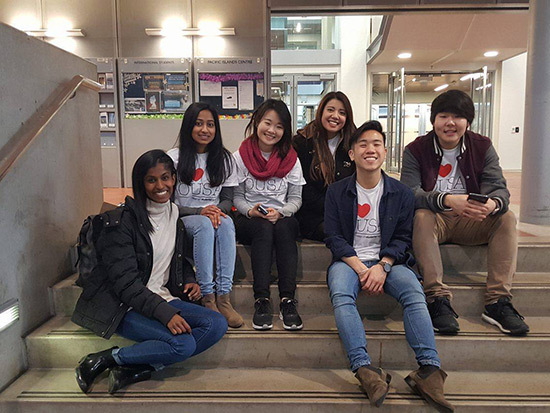 Indian Students Association, Otago Filipino Students Association, Otago Malaysian Students Association, and Sri Lankan Students Association still have their annual Cultural Nights in Semester Two. IGN is our last major International event on the calendar and is seen as our final curtain call. 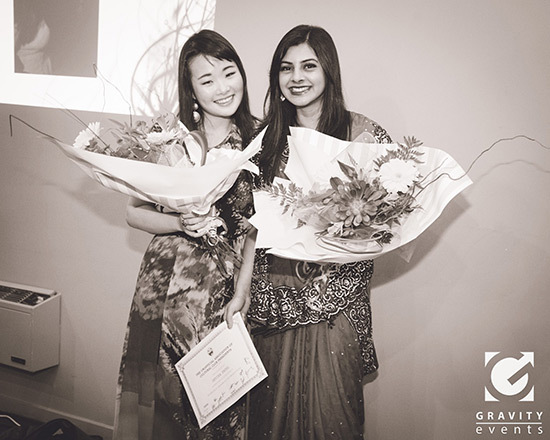 We recognise the hard work that our International Clubs and students have done for the International community at Otago by throwing a huge shindig with music, a 3-course meal, prize giving, and lots of photo opportunities. These events are obviously a small part of what is going on at Otago but to me, it was certainly a massive part of my whole Otago experience. Sadly, it will be time for me to focus my energies into my PhD next year but I am certain that these International Events will be present for you to fall in love with just as I did all those years ago. Thank you OUSA, ICOM/ICC, OSC, and the International Office for everything and more. So don’t worry if you’re new to Otago, for you will have lots of options to choose from. It is up to you to go for it. If you happen to choose Otago to further your studies, I will probably still be here to welcome you with open arms. Feel free to say hi! Let’s goooo! P.s. Shout out to the most amazing International Committee who have worked super hard behind the scenes. My Vice-Presidents (Hasani and Danielle), Secretary (Max), Treasurer (John), and General Executive (Andy, Bushra, Maple, and Thilini) – I am eternally grateful to you all. Photo credits – Andrew Mills, Maple Goh, Max Chan, Pearl Pan, Rev. 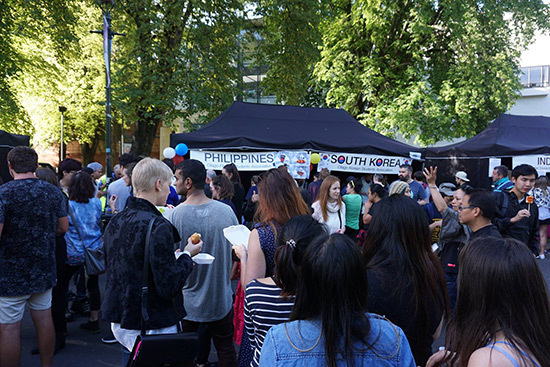 Greg Hughson, Otago Filipino Students Association, and Gravity Events. 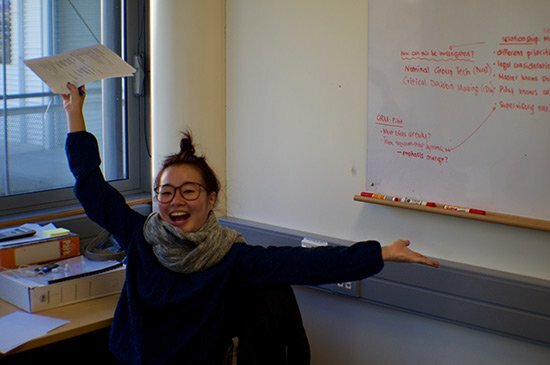 Find out why other students chose to study at Otago on www.whystudyhere.com/Otago. Next articleWhy Study Creative Writing?